He has a Quickbooks accounting software package without the payroll option. I guess I'll be doing P/R manually then and am struggling with how to set the accounts up properly. Is there anyway you could give me some direction? I use the Government of Canada Payroll Deductions calculator currently but need to know how to enter the gross salary, EI, CPP, tax deductions, etc. in the COA. DEBIT Wages (expense account on the income statement for the office staff or part of COGS for the construction crew) - this is where you book the gross wages. DEBIT Employer Payroll Taxes (expense account on the income statement) - book the employer portions of CPP and EI here ... you can make two subaccounts under this account if you want. CREDIT Payroll Taxes Payable (current liability on the balance sheet) - for the employee and employer portions of CPP and EI as well as the income tax deducted from each employee ... you can make three subaccounts under this account if you want. This account represents the amounts you have to remit to CRA on form PD7A. CREDIT Wages Payable (current liabiability on balance sheet) - equals the net payroll paid to employees. You will also need to account for vacation pay and union dues. I forgot to mention that you will probably want to visit the CRA website and download CRA's publication "Employer's Guide - Payroll Deductions and Remittances". It has some nice worksheets to help you prove your CPP and EI deductions in the appendices. You'll want to do this prior to year-end to avoid over and under payments ... and therefore PIERs that come out in June. You provided information on how to calculate EI & CPP deductions but not federal & provincial income tax withholding? How do we do that? Thank you. I would use CRA's online payroll deductions calculator. You can find the link by clicking here. It's easier than calculating the income tax withholding by hand. I did payroll for one of my clients from January to June this year. In July he hired a payroll company to do his payroll. I need advice on how to post this as I have never had any involvement with payroll being outsourced. I have statements from the payroll company showing the breakdown of the employee's net pay, the deductions taken and the payroll company's fee. My client sent them the amount of money they requested. They direct deposited the net pay to the employee and paid the source deductions out of the funds that my client sent them. Where do I begin to post all this? Do I set up the payroll company as a vendor and post the payment my client made to them that way? How do I enter the net pay that the employee received and post the source deductions paid. I really don't know where to begin so any help would be greatly appreciated. Also, the payroll company will be doing the T4. Do I also create a "dummy T4" at the end of December to clear the payroll information so I can start the postings for next year? If it was me, I'd just do a manual journal entry (see above) for each pay period statement you receive from the payroll provider. I too would set up the payroll provider as a vendor so any payments sent would be recorded under through the vendor name. Now here's the secrect for booking both sides of the entries ... by that I mean the payment to the payroll provider AND the recording of each pay period based on the payroll provider statements received ... use a payroll clearing account. The beauty of setting up a payroll clearing account is you will clearly see if you are balanced. How? After booking all the entries for a pay period, the payroll clearing account should equal zero. 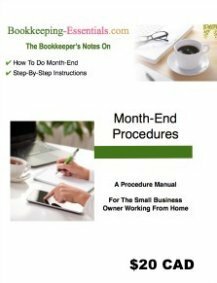 So your offsetting entry for the monies sent to the payroll provider would be the payroll clearing account ... and your manual journal entry would book to the clearing account rather than the bank account. I'm not sure you have to clear any payroll information for the first six months ... that is if you were allowed to complete the period and send in the remittances. I didn't think running a T4 in QuickBooks did anything record keeping wise. It is just a report based on the data entered. The payroll information automatically clears based on the date of the financial report. To test this, run a Payroll Liabilities report as of February 2014. Let me know if this works. I don't have QuickBooks open right now to play around and test this myself. If you aren't sure, try it in one of the sample companies first to see if would work for you. How is the best way to do payroll in QB without the payroll option? 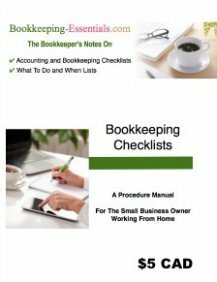 Tamara, the journal entries in the main post above should enable you to do payroll manually in QuickBooks. This confused me in that you never mentioned the use of the "Employer Payroll Taxes"; is that used when paying the wages or when remitting the RP taxes ? Also by using this account setup we are trying to zero out the RP remittance against the payroll payables CPP … correct ? Employers get to expense the payroll taxes they pay therefore they show up on your income statement as an expense. I don't like long messy chart of accounts, so I capture payroll tax expenses all in one account. If the payroll is large, I use sub accounts to this account to aid in account reconciliation. The current liability account for what you owe CRA shows up on your balance sheet. The amounts in Payroll Taxes Payable should balance to the amounts you report in your payroll form PD7A which is submitted when you remit your source deductions to CRA. Please advice Source Deductions for small business in British Columbia Canada for paying $45k salary to single person (owner) for the whole year 2016. What are the CPP Contribution? Tax Deductions?